Image 361518: Close up of wheat. 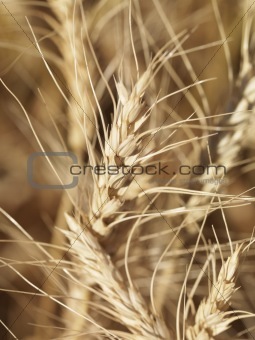 Image Description: Close up view of wheat ready for harvest. S 5.1 x 6.8 cm 2.0 x 2.7"
L 15.0 x 20.0 cm 5.9 x 7.9"
XL 18.4 x 24.5 cm 7.2 x 9.7"
XXL 26.0 x 34.7 cm 10.2 x 13.7"
XXXL 33.6 x 44.8 cm 13.2 x 17.6"